Francesco Cirillo is a partner in Cirillo Consulting, a business consulting firm based in Berlin that works with many of the world's largest companies. 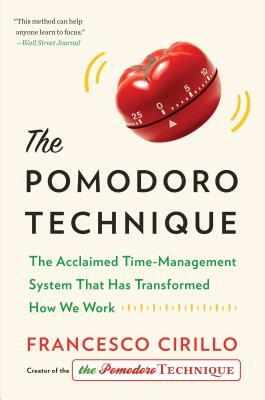 He created the Pomodoro technique while a unversity student, looking for a way to get more done in less time. His system of working in 25 minute increments, without interruption, with five minute breaks, has been adopted by productivity experts the world over. Cirillo wrote a 130 page book on the technique in 2006 which he offered as a free download. It was downloaded over 2 million times -- about 250,000 times a year -- before the author took the pdf down in 2013, and restricted access to the book to his personal website. This publication marks the first time the book has been available for purchase through retail channels.